Born: July 10, 1810 in Carver Ma. Died: April 9, 1889 in Bourne Ma. at 77 yrs, 9 mos. Married: October 23, 1837 in Sandwich Ma. 1. William Lumbert; (October 31, 1838 – October 31, 1913); Married Melissa Raymond (1845 – 1937) (Asa Raymond & Eliza Ann Lumbert) in Sandwich Ma. 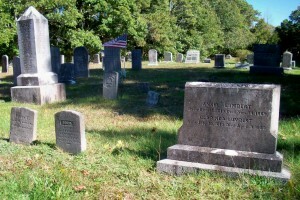 on September 1, 1864; William & Melissa are buried in Pocasset Cemetery. 2. Mary Amanda Lumbert Landers; (September 22, 1840 – February 7, 1923); Married Samuel H. Landers (1831 – 1893) (Abiel Landers & Phebe (Raymond) Covell) in Sandwich Ma. on September 15, 1864; Mary, Samuel & their three daughters are buried together in Pocasset Cemetery. 3. 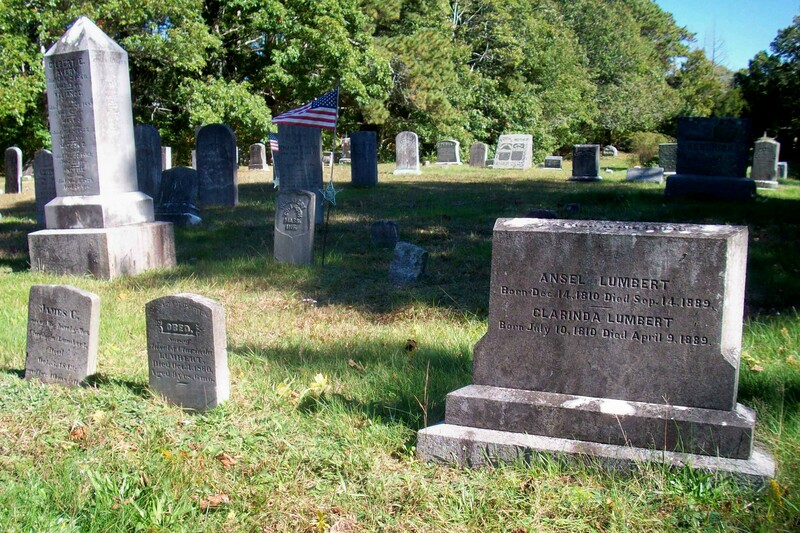 Adeliza/Addie B. Lumbert Kendrick; (May 15, 1844 – May 15, 1875); Married Daniel Herbert Kendrick, Jr. (1846 – 1929) (Daniel Herbert Kendrick & Harriet Dexter) in Sandwich Ma. on May 23, 1869; Daniel, Jr. married (2) Sarah B. Eames (Abt.1848 – ?) (Ephraim N. Eames & Lois (–)) in Brockton Ma. on July 27, 1877; Adeliza/Addie is buried in Pocasset Cemetery. 4. Zacheus F. Lumbert; (July 23, 1846 – November 1, 1885); Zacheus was a mariner & died at 34 yrs, 4 mos, 2 d.; He is buried in Pocasset Cemetery. 5. James C. Lumbert; (1847 – October 3, 1849); James died at 1 yr, 10 mos, 11 d. & is buried near his parents in Pocasset Cemetery. 6. 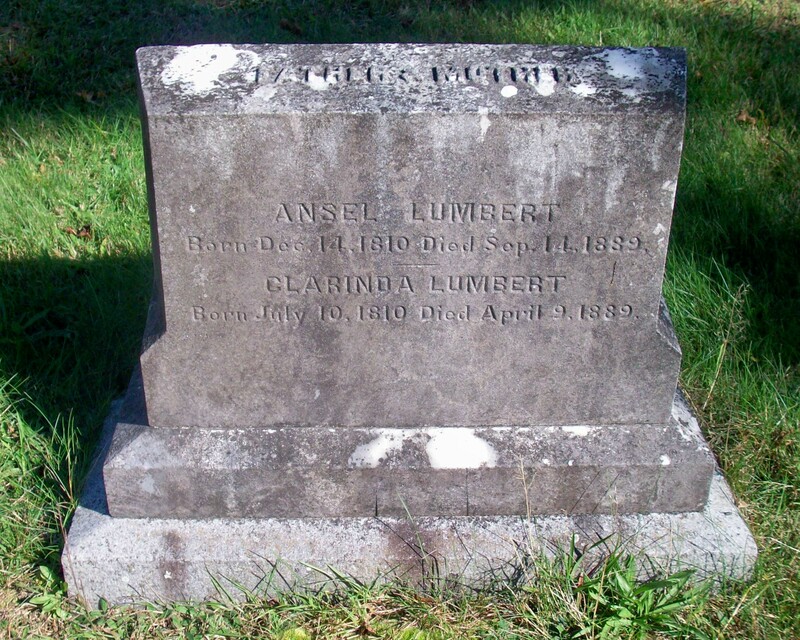 Obed T. Lumbert; (April 22, 1851 – October 4, 1860); Obed died at 9 yrs, 6 mos. & is buried near his parents in Pocasset Cemetery. 7. Achsah Johnson Lumbert; (Abt.1853 – May 13, 1920); Achsah died unmarried at 67 yrs, 2 mos, 6 d.; She is buried in Pocasset Cemetery (headstone not located; interral records of E.D. Nickerson).